ABSTRACT: In the second Critique Kant argues that for the Highest Good to be possible we need to postulate the existence of God and the immortality of the soul. There Kant implies that the Highest Good is attainable only in the noumenal world. In his later writings, however, he argues that the Highest Good is attainable in the phenomenal world through mere human agency. It seems that Kant has two different and competing conceptions of the Highest Good, namely a theological and a secular conception. In this paper, I argue against both the theological and the secular readings. Instead of focusing exclusively on either the early or the latter writings, I argue that we need to understand why Kant writes in different and seemingly incoherent ways about the Highest Good. Abstracts of no more than one page for talks and suggestions for panels should be sent to both convenors by March 1, 2013. Decisions will be made within two or three weeks. The length of the talks will depend on how many proposals are accepted, but will be at least 25 minutes. The registration fee of 100 USD covers three lunches and the final conference dinner on a boat on the Bosporus. For students who want to participate in the conference the registration fee is reduced to $ 50. 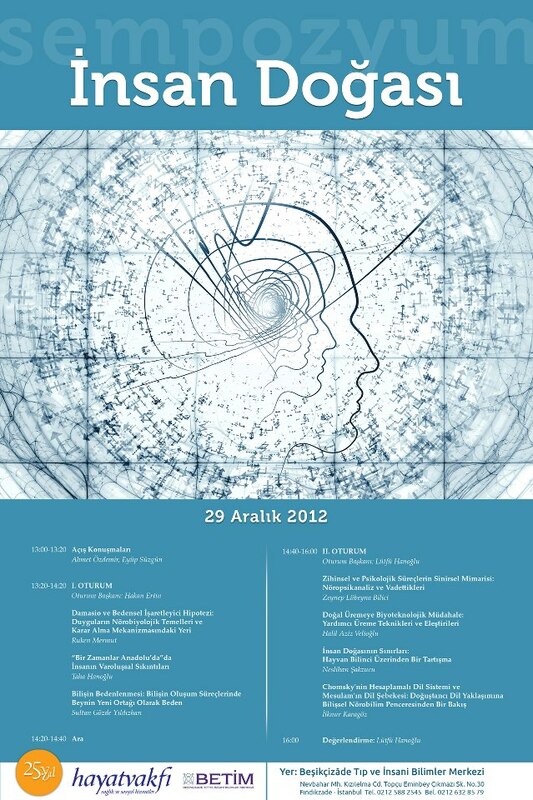 From the spring term 2013, Fatih University Istanbul is offering a PhD programme in philosophy (taught in English). Ralf Bader (Oxford) will give a talk at Bogazici University on Friday, December 21st, from 5-7pm in TB130. ABSTRACT: The highest good is the culmination of Kant’s ethical theory. It systematically combines all objects of practical reason, integrating everything that is good into an unconditioned totality. By doing so, it bridges the dualisms between moral and pathological value, between duty and prudence, as well as between virtue and happiness. It thereby gives rise to a unified necessary system of ends. This paper provides a systematic account of Kant’s theory of the highest good, addressing in particular the question why happiness is included in the highest good, why it should be distributed in proportion to virtue, and in what sense the highest good is something that we are meant to bring about. Ralf Bader received his phd at St Andrews university. He was then a Bersoff Fellow and Assistant Professor/Faculty Fellow of Philosophy at NYU. He is currently a research fellow and University Lecturer at Oxford University. His research primarily focuses on value theory (axiology, intrinsic value, organic unities, agent-relativity, population ethics), contemporary metaphysics (intrinsicality, supervenience, coinciding objects, counterpart theory, dispositions, causation, identity, mereology), and Kant scholarship (highest good, happiness, imperatives, tables of categories, transcendental idealism). He is also interested in neo-Kantian and early analytic philosophy, as well as in political philosophy. Some of his publications can be found here.